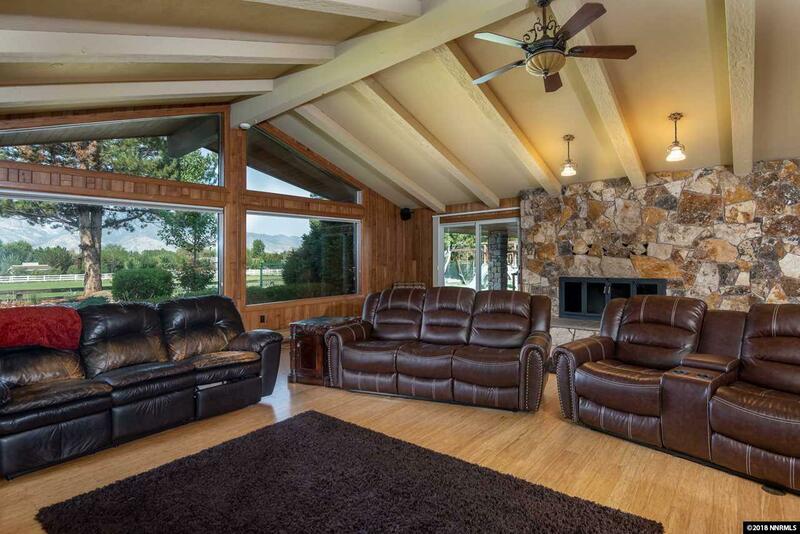 Executive villa style home set in the heart of the Carson Valley. Over 5300 sq. ft. includes 1161 sq. ft. guest home. 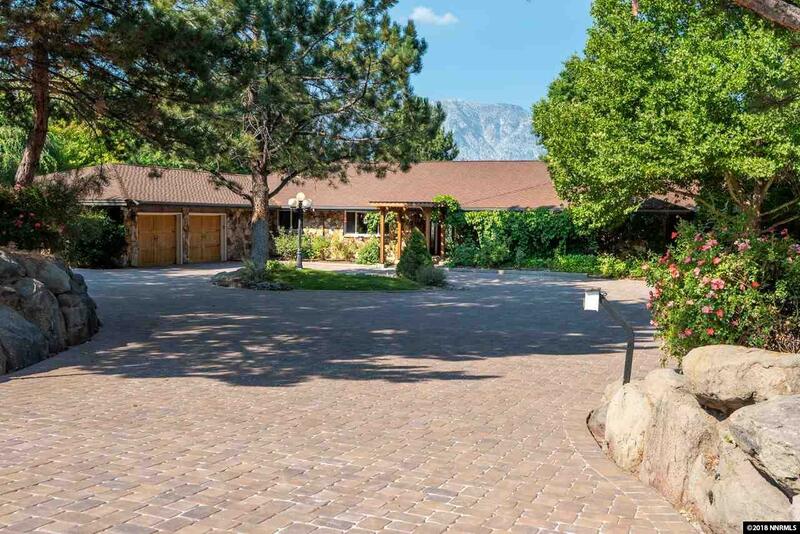 Private gated entrance, and brand new pavered circular drive are surrounded by lush landscaping. 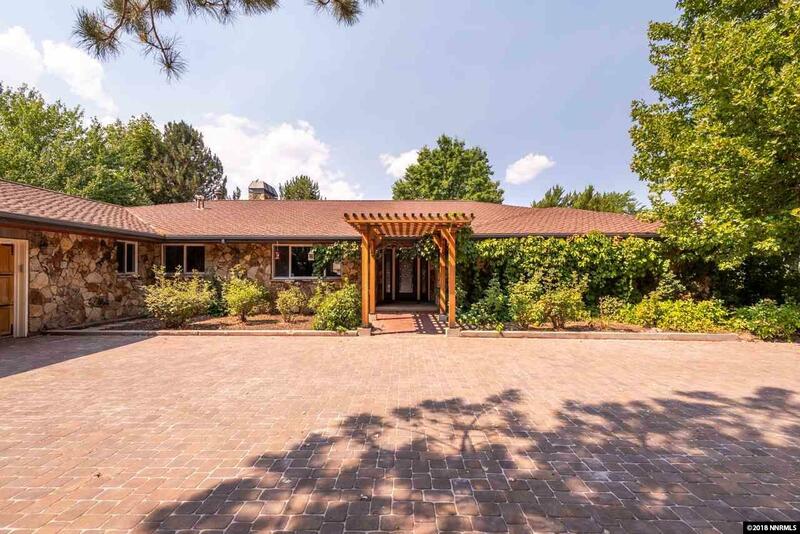 Exterior features a total of 2.99 acres of which approximately 2 are wide open pasture with water rights and expansive views of Job's Peak. 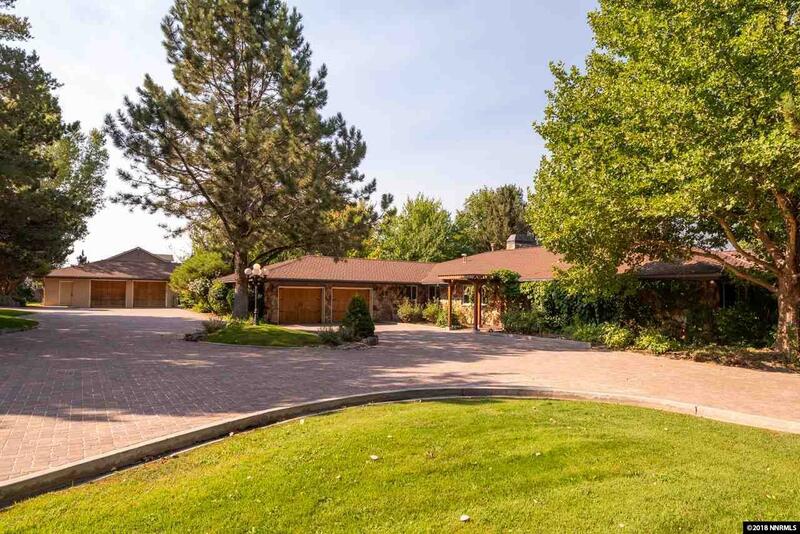 Property is fenced and cross fenced.Two water features, bridges and a large pond add to the retreat feel of this property.